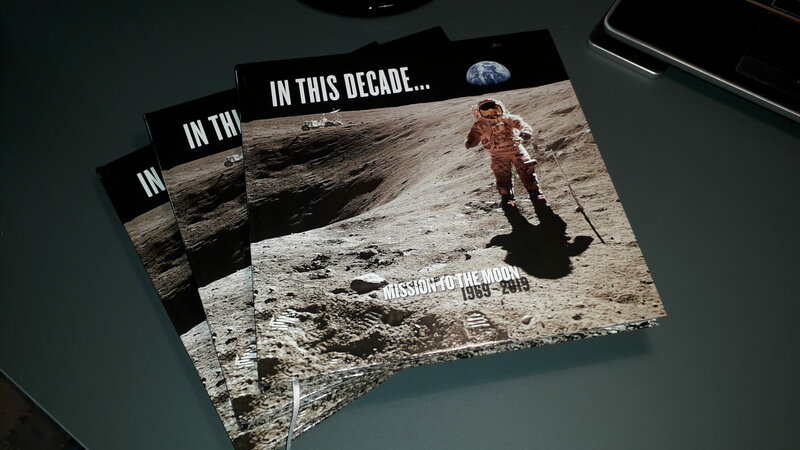 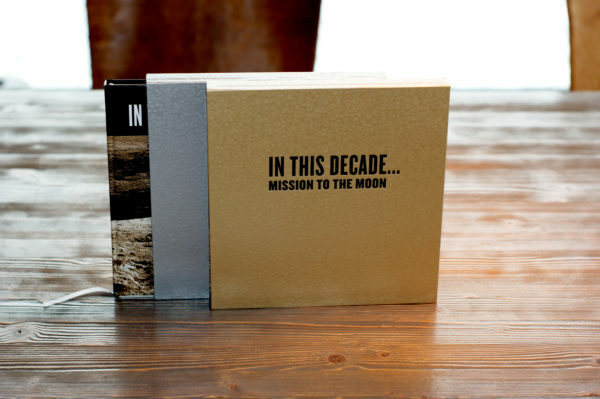 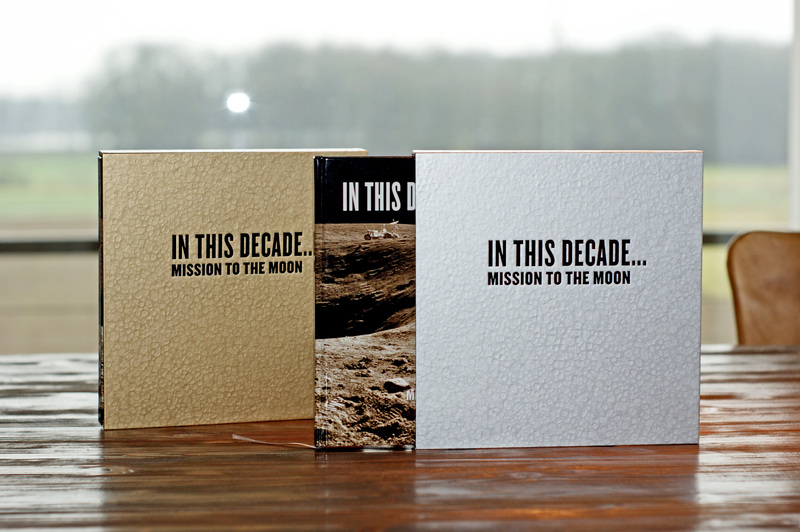 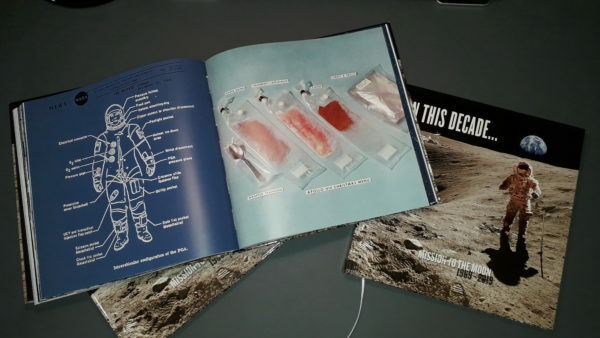 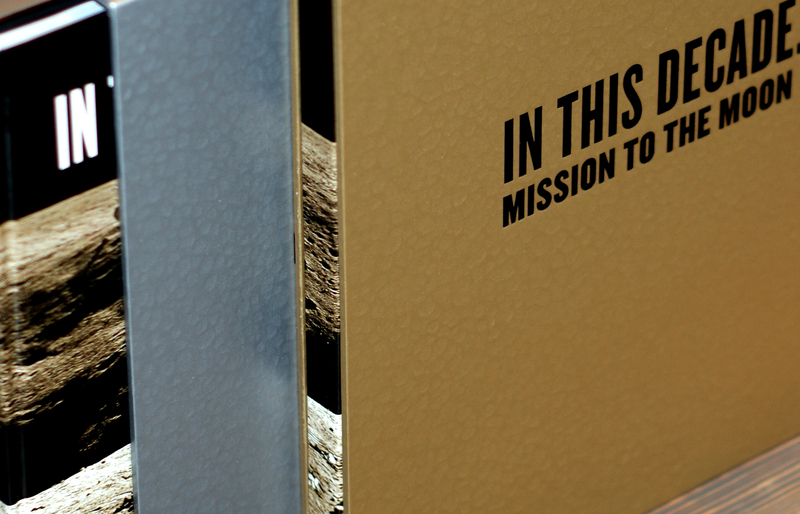 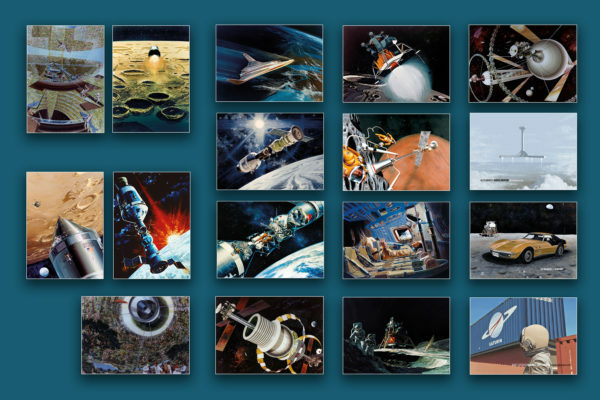 IN THIS DECADE – MISSION TO THE MOON. 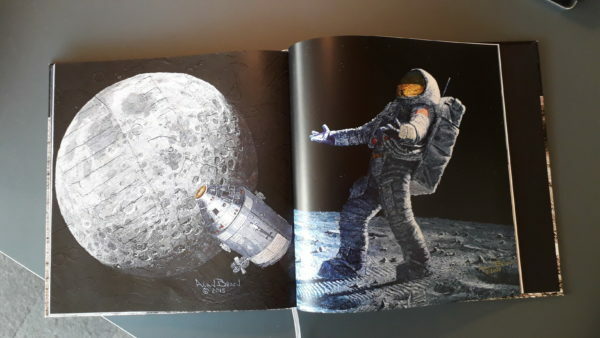 THE NEW INTERPRETATION OF THE NASA PAPERBACK FROM 1969. 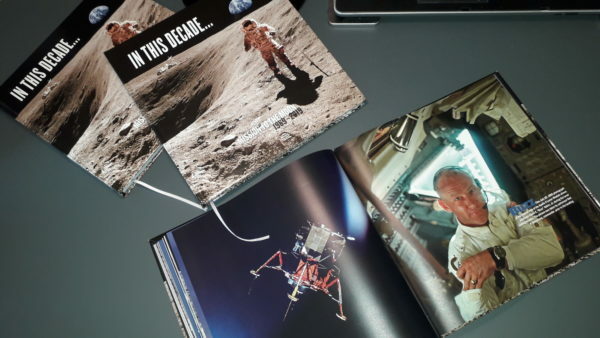 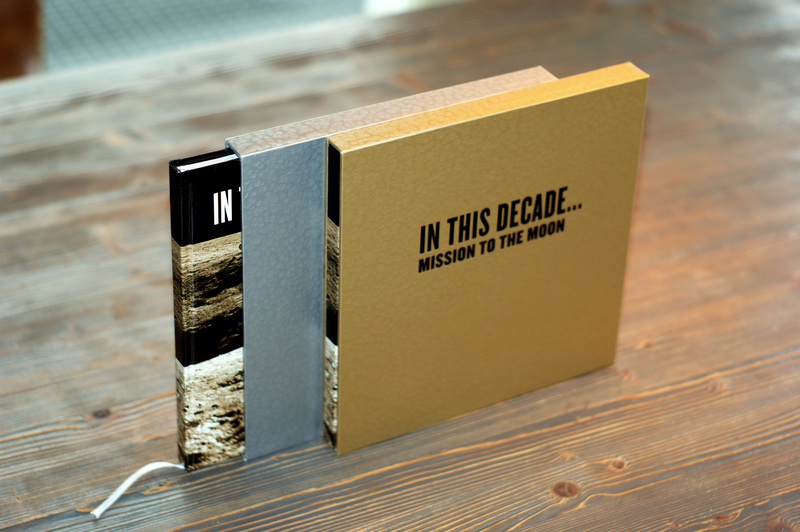 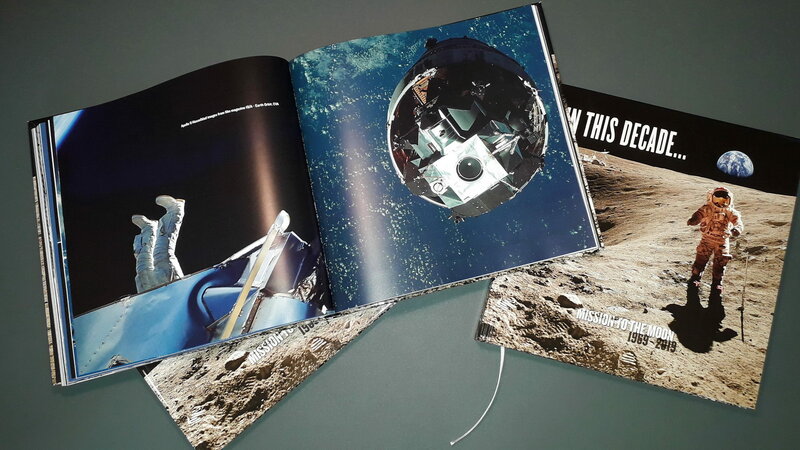 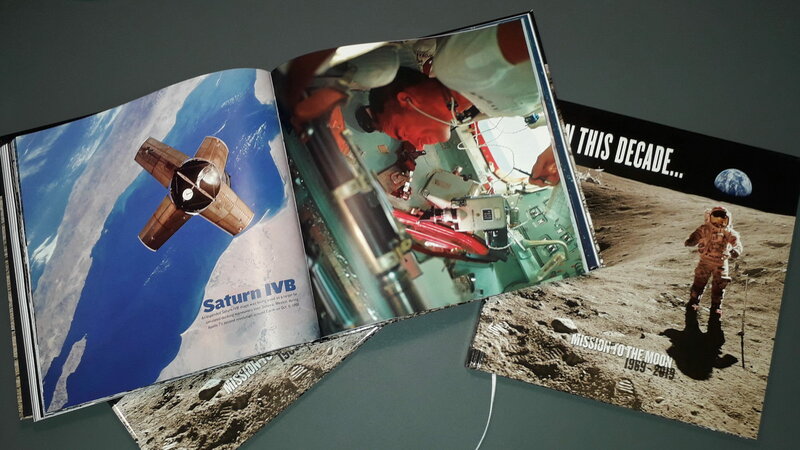 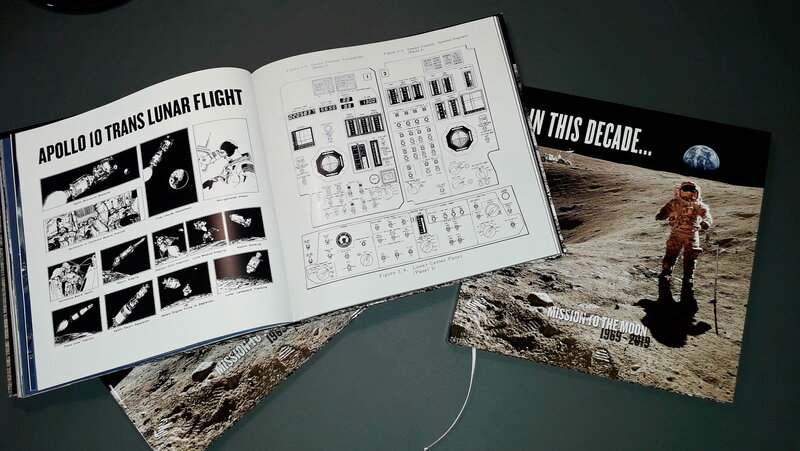 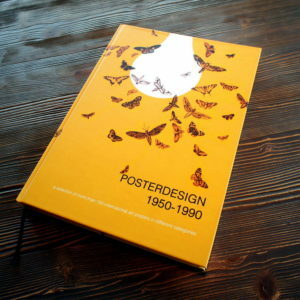 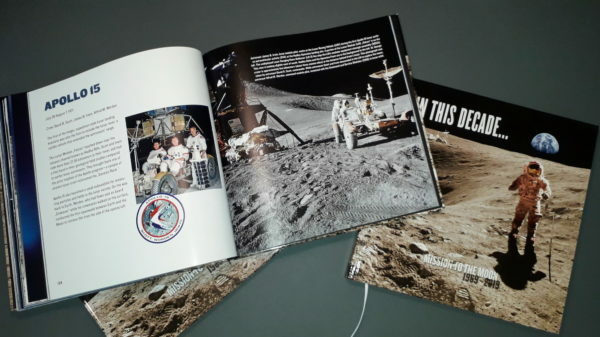 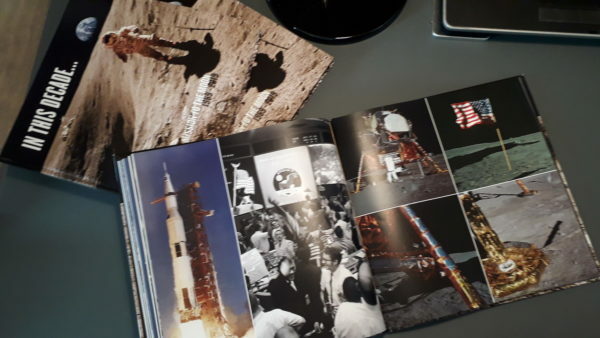 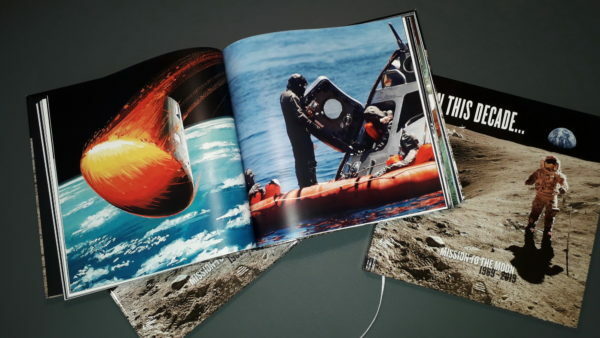 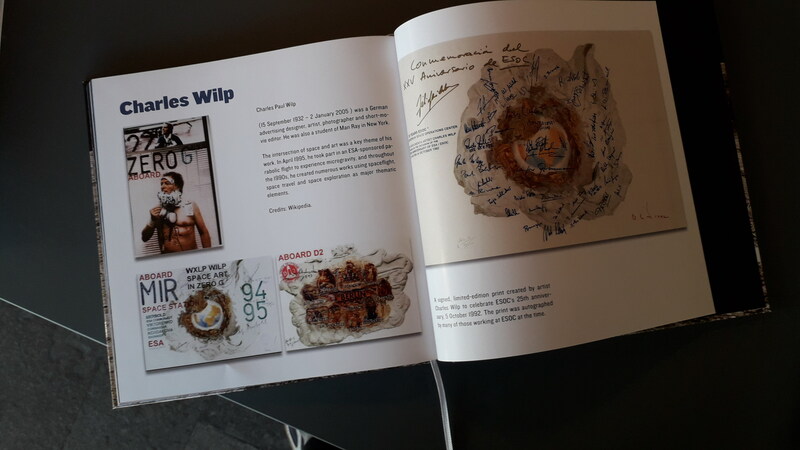 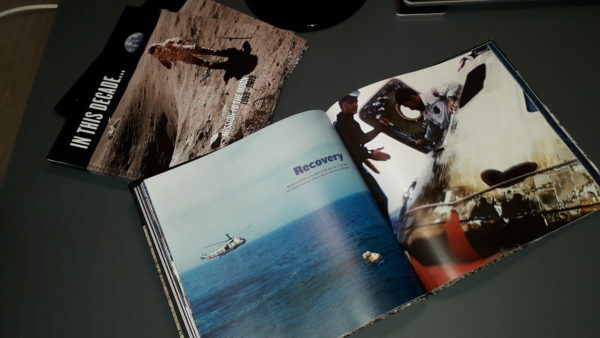 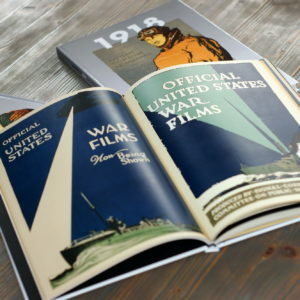 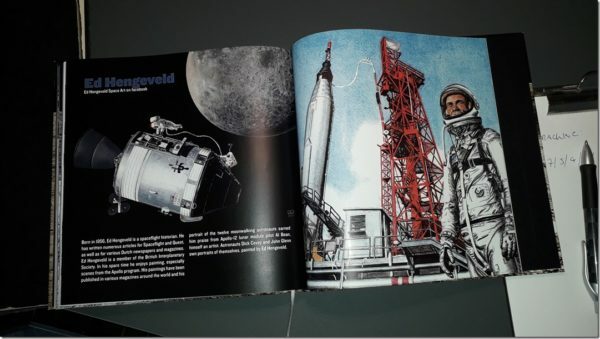 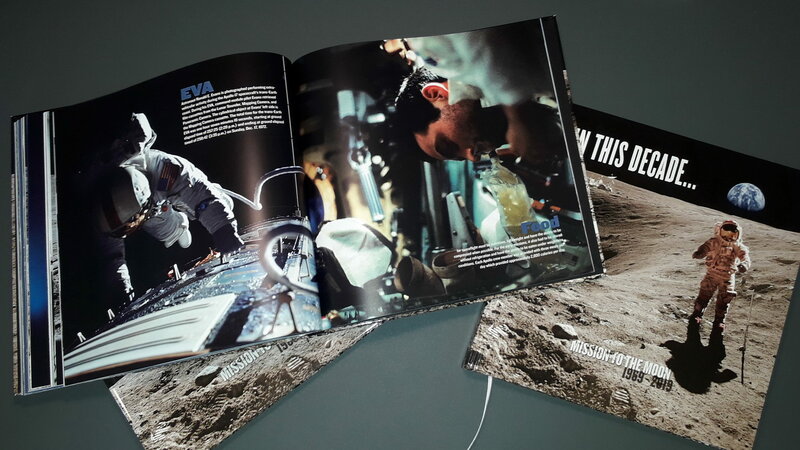 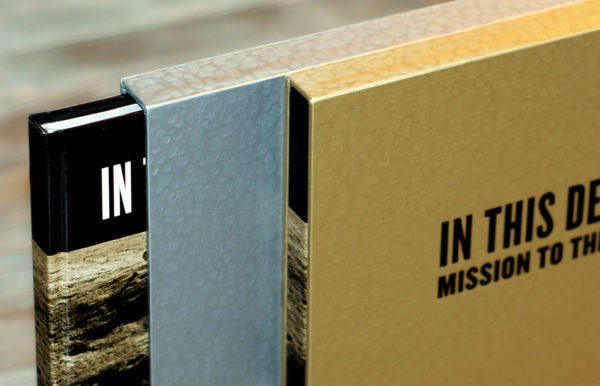 50 YEARS EXCITING PICTURES & STORIES // It comes without the slipcase! 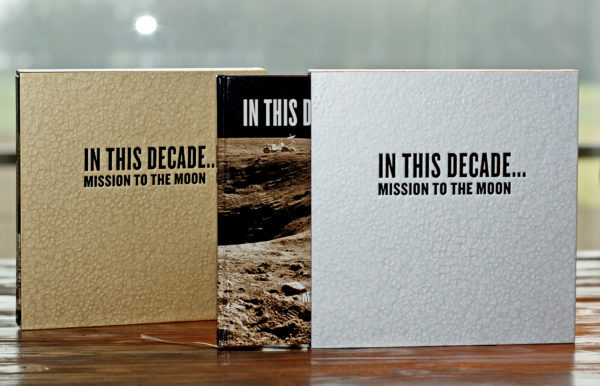 Hardcover, glossy Surface, 160 pages, 4c, Stitch binding, 135Grams Paper, Black Tailband, white Headband. 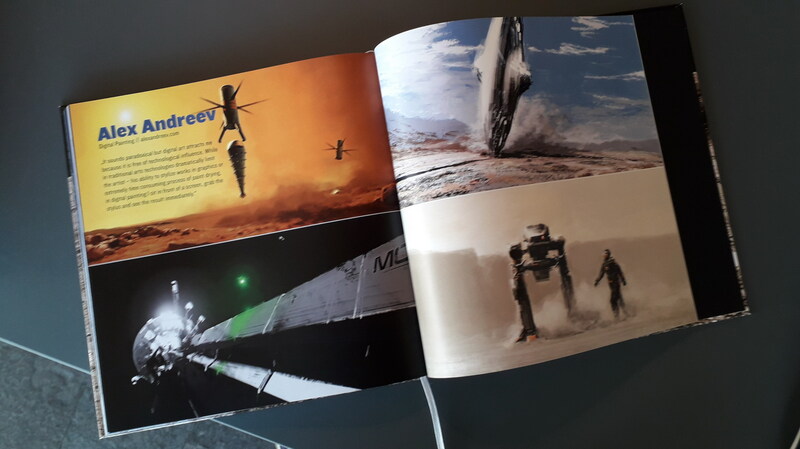 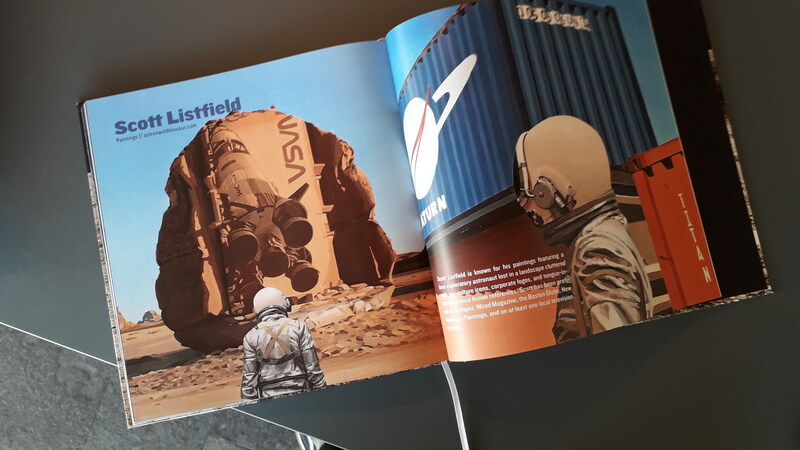 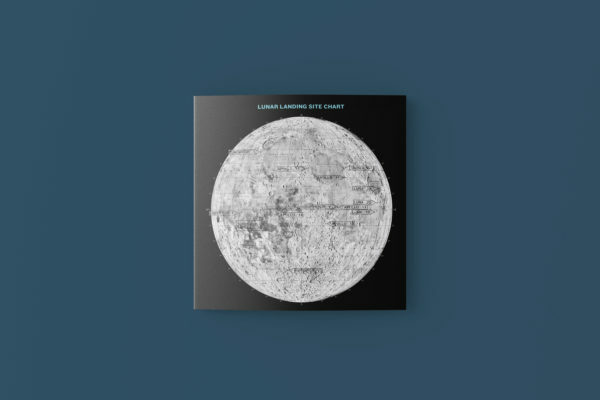 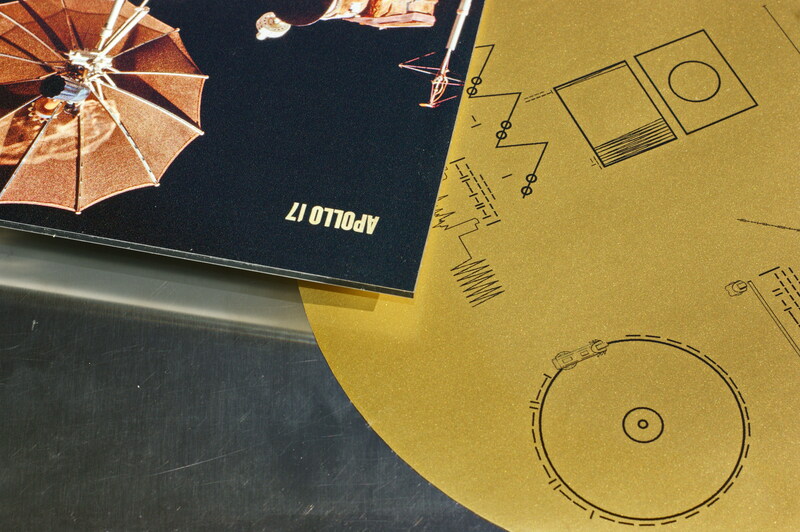 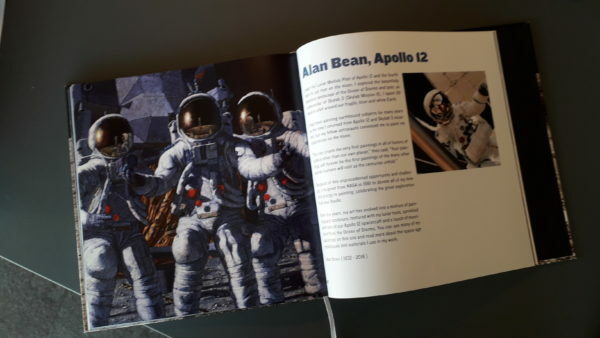 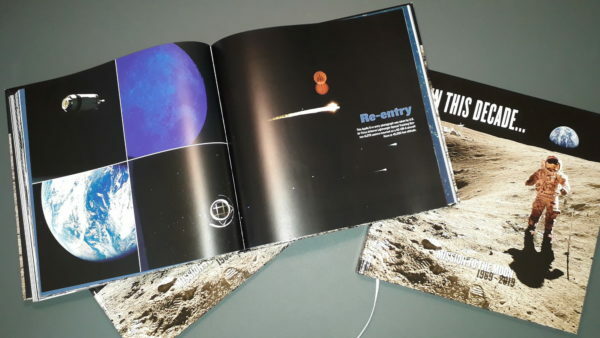 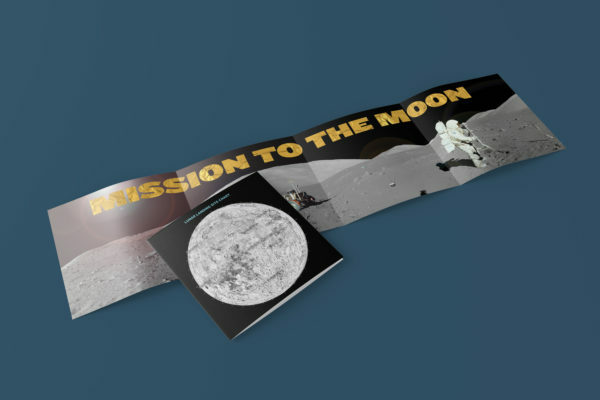 In addition the Lunar Poster, printed on both sides. 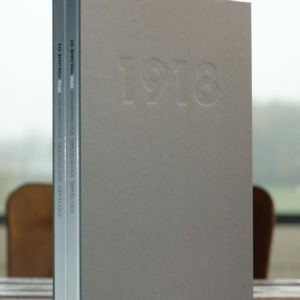 84×21 cm. Hardcover, glossy Surface, 160 pages, 4c, Stitch binding, 135Grams Paper, Black Tailband, white Headband. 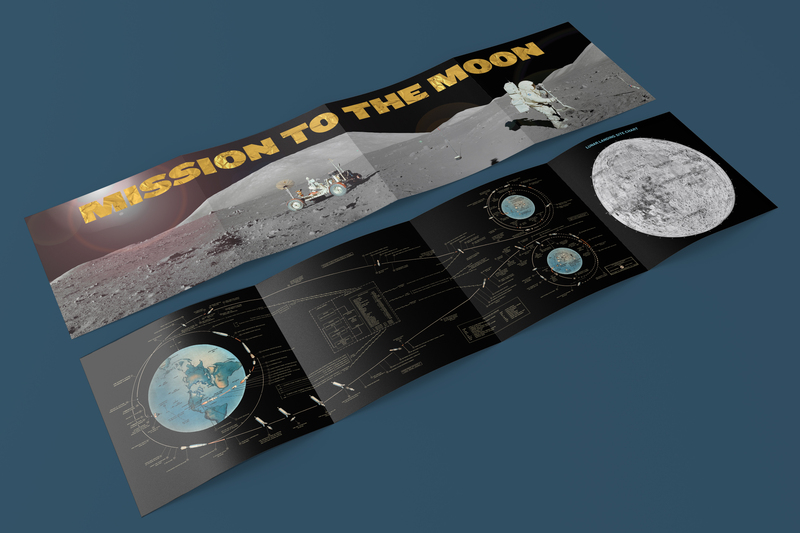 In addition the Lunar Poster, printed on both sides. 84x21 cm.